Charter a private flight to Los Angeles, home to Hollywood, film stars, and many of your favorite movies and television shows. Whether flying private to Los Angeles for a media event, an awards show, business meetings or leisure travel, we can help arrange the right aircraft and flight itinerary that best suit your needs. Los Angeles Private Jets believes in providing private fliers with a one-on-one consultative service experience that exceeds every expectation. We understand that your time, privacy, flight preferences and most of all, safety, are all extremely important. Our Los Angeles Jet Charter representatives are available for you by phone and email 24 hours a day, 7 days a week. When using our private aviation service, you can expect quick response times and an easy, hassle-free booking process. Request a quote or call us to arrange your private flight to Los Angeles, California. The following list of our top choices was created based on factors such as Los Angeles Private Jets passenger feedback, location, amenities and online reviews. From five-star hotels located downtown and world-famous hotels in Beverly Hills to beach resorts in Santa Monica, Redondo Beach and more, private jet travelers will have no troubles finding the right accommodations for their stay in LA. Once you arrive in California via luxury private jet, our Los Angeles jet charter service brokers can also arrange ground transportation to/from the hotel of your choice. Every year millions of people flock to “The City of Angels” in anticipation of the incredible nightlife in Downtown Los Angeles. The options for nightly entertainment are genuinely limitless. Think of any type of restaurant, bar, shop, club, or venue: if it exists, it can more than likely be found in L.A. As one of the most diverse cities in the world, you can find authentic foreign cuisine in just about every nook and cranny. These eateries range from greasy and delicious hole-in-the-wall shacks to the most luxurious 5-star restaurants; all are worth checking out. Branching out from the downtown area, you’ll stumble across an obscene amount of art, history, and culture museums. Most would agree that while all of them have their merits, The Getty, widely considered one of the best art museums in the USA, is an absolute must-see. Continuing to the outskirts of the city, you’ll want to check out state parks like Grand Park and Griffith Park. They have some of the most well maintained and scenic bike trails and hiking paths to be seen anywhere in the state. 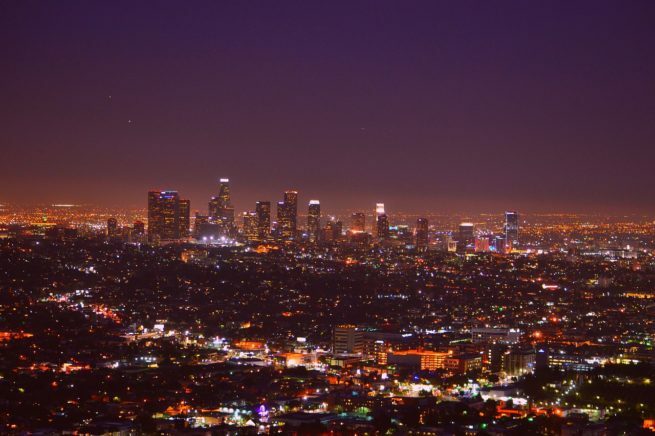 Business professionals flying to the Los Angeles area can benefit the most from our service. We only charter private flights on aircraft operated by FAR Part 135 or 121 air carriers, and Los Angeles Private Jets is Wyvern certified, meaning we meet the same requirements set forth by the corporate flight departments of many Fortune 500 companies. If you’re an executive assistant and need to arrange a private flight for your business team, let us be your personal assistant in private aviation. We’re happy to answer any questions you may have about private aviation, providing a transparent, one-one-one consultative experience that gives you peace of mind when arranging your next fight. Van Nuys Airport is a premier destination for media personnel, along with executives in the high-tech, transportation and oil & gas industries. If your business plans require a corporate charter flight to Los Angeles, let us arrange the right aircraft and itinerary that best suits your trip, taking the hassle and stress away so your team can focus on your business. If you have a corporate fleet and one of your jets has suffered a mechanical problems, we can arrange a supplemental lift in as little as 4 to 6 hours. Los Angeles Private Jets also caters to many high-profile clients, and we are familiar with flight needs and preferences of celebrities, athletes, musicians and entertainers of every variety. We’ve worked with requests that fall outside of the norm, and have satisfied even the most demanding private flyers. We can also arrange supplemental charter flights for jet card and fractional jet owners; our team offers unlimited quotes, so call and compare us to your current plan before reserving hours for your next flight. Check out some of our recommendations below for things to do after your private flight to Los Angeles, California. Secluded and exclusive, Beverly Hills is the United States official home to the rich and famous. You can find more A-list celebrities in Beverly Hills than in just about anywhere else in the world. But if celebrity hunting isn’t really your thing, then you’ll be pleased to know that there are some of the most posh and upscale clothing and jewelry stores around in the south side of Beverly Hills. You’ll find the trendy Barneys New York boutique department store off of Wilshire Boulevard. An extensive 5 floors of the most sought-after items in fashion, trendy displays, and even a chic deli on the top floor, Barneys won’t disappoint even the most jaded shopaholics. 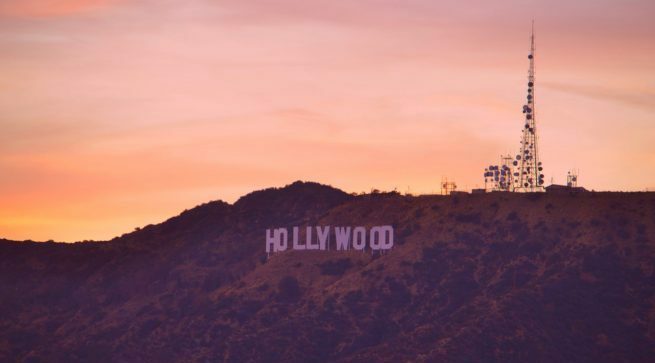 The self-proclaimed home of the entertainment industry, Hollywood has been on an economical roller coaster over the past few decades. While many television shows are still filmed there, the city is not what it once was. However, this does not mean that it’s worse; in fact many would argue that it’s actually better now. Now there are more stores, restaurants, and bars that locals and visitors alike can enjoy. The city is best seen by traversing the three main streets. Sunset Boulevard, Hollywood Boulevard, and Melrose Avenue each have something different to offer in the way of entertainment. Hollywood Boulevard is more or less a traditional tourist trap; it has plenty of attractions to help brush up on your entertainment industry history, and lots of places selling knick-knacks and memorabilia. After you tire of rebuffing the advances of persistent street vendors, head to Sunset Boulevard or Melrose Avenue and enjoy the nightlife, shopping, and eateries that they have to offer. Pasadena is a major residential hub, holding most of the population of the San Gabriel Valley. Not the major tourist draw that its neighbors are, it still offers plenty of attractions for visitors, but with a more local feel. Pasadena is known as the City of Roses, and it has a large array of events centered around that title; their New Year’s Day Rose Parade and the Rose Bowl Game are two such examples. In recent years, Pasadena has grown -and continues to grow- into a pretty trendy and fun area. Over 500 restaurants are clustered throughout the district, and so are over 200 boutiques and retailers. Pasadena -though not known for it- is also an academic center; the world renowned California Institute of Technology is located there, and some odd 14 museums and 11 performing arts organizations. Los Angeles Private Jets utilizes the following airport to fly clients privately to/from Los Angeles, California and neighboring areas of Southern California. View a complete list of Los Angeles-area airport. Request a Quote or give us a call at 1-888-987-5387 to speak with one of our Los Angeles Private Jets representatives for your next luxury vacation, business trip, or special event.